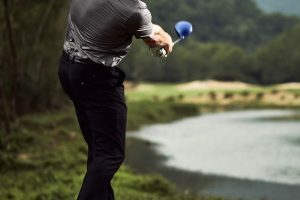 Whether you’re dashing across the country for business or networking with clients, a round of golf will never go astray – especially if you’re lucky enough to sample some of the excellent golf courses around the world. In times gone by, golf sets and other pieces of sporting equipment were often never charged for by airlines as they were considered ‘sportsman’s luggage’. But these days, carriers are less inclined to be lenient and have tightened up their policies about bringing your own set of equipment with you. These should all be enclosed in a recognisable, rigid carrying case. Soft cases are not recommended as airlines will not cover damage to equipment within them. Australian Business Traveller compared the golf luggage policies for most major airlines flying within and out of Australia, and how generous they are when it comes to transporting your golf gear. Thankfully, there are still a handful of carriers serving Australia that offer a complimentary allowance for your golf set in additional to your normal baggage entitlements – and the list may surprise you. Air Calin: Additional free 23kg for one golf set for all flights. China Southern: Additional free 23kg for one golf set on international flights. Garuda Indonesia: Additional free 23kg for one golf set for all flights. Hainan Airlines: Additional free 23kg for one golf set for piece-based allowances (including Australia, Europe and USA). Malaysia Airlines: Enrich Platinum, Oneworld Emerald and ‘corporate travel’ passengers are entitled to check in one golf bag in addition to their allowance, free of charge. Otherwise, it comes out of the free baggage allowance. Royal Brunei: Free 12kg waiver for golf equipment (can’t be used with other waivers). 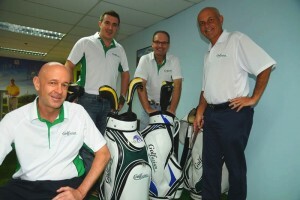 Vietnam Airlines: Additional free 20kg for the first golf set. The majority of airlines include golfing equipment within your free baggage allowance, however they are more lenient with the dimensions of the golf bag and will usually waive any ‘oversize fees’ associated with your carrying case. This is usually limited to one golf set per passenger, with escalating fees for additional sets. For piece-based allowances, one set of equipment will take up one piece. For weight-only allowances, one set contributes to your overall weight limit. The usual limit for checked luggage dimensions is 158 cm linear total, which is calculated from length + width + height. Qantas: Golf sets are exempt from normal linear dimensions. Virgin Australia: Must not exceed 300 cm in length if oversize. Air Canada: Exempt from oversize baggage fee. Air China: Golf sets may be slightly oversize, but excess weight fees apply above 23 kg. Air India: One set counts towards free baggage allowance. If overweight by up to 15 kg, a special 6 kg excess baggage rate will be charged. Air New Zealand: Up to 200 cm long. All Nippon Airways (ANA): Up to 45 kg and 292 cm linear dimensions for one set (still subject to total baggage allowance; overweight fees apply). American Airlines: Size limited to normal golf case. Asiana: One golf bag + one regular bag with total weight under 32kg will be counted as one piece. If the total weight falls between 32-45kg, then it is counted as two pieces. British Airways: Larger dimensions of 190 x 75 x 65 cm applies. Cathay Pacific: Golf sets should not exceed 203 cm linear dimensions in total, or it will have to be checked in as oversize luggage. Excess fees only apply if it’s overweight. China Airlines: Size limits relaxed. If overweight by up to 15 kg, a special 6 kg excess baggage rate will be charged. 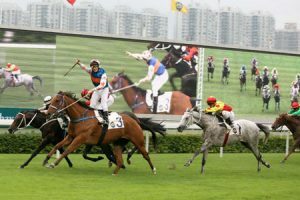 China Eastern: Size limits relaxed. If overweight by up to 15 kg, a special 6 kg excess baggage rate will be charged. Delta: Can exceed the usual 158 cm linear dimensions, up to 292 cm maximum. Etihad: No dimension longer than 300 cm. EVA Air: One golf bag will be counted as normal luggage regardless of actual dimensions. Hawaiian Airlines: One set included in free allowance, oversize charge waived. Japan Airlines: Normal weight and size limits apply, but dimensions are generous – 203 cm linear dimensions allowed per piece. Korean Air: No oversize fee if dimensions are kept under 277cm. One golf bag + one regular bag with total weight under 23kg will be counted as one piece. If the total weight falls between 23kg to 32kg, then an overweight fee applies. Philippine Airlines: One set included in free allowance, oversize charge waived. Qatar Airways: Golf sets are exempt from normal baggage dimensions if included within the free baggage allowance. However, if it’s additional baggage, then excess fees apply for size and weight. Singapore Airlines: Golf sets are exempt from normal baggage dimensions but must remain within normal weight limits. Thai Airways: One set counts towards free baggage allowance with oversize fees waived. Extra sets are charged at standard excess luggage rates. United Airlines: Exempt from oversize baggage fee if exceeds 158 cm linear dimension. Only a few airlines will charge for oversize fees if the golf bag exceeds its standard dimensions, or not even include golfing equipment in the free baggage allowance and levy an additional cost to check them in. Emirates: A spokesperson for Emirates confirmed additional charges would apply if the golf bag exceeded the dimensions or weight listed online. Not an issue for weight-based allowances (most destinations including Australia and Europe), as each item can be up to 300 cm in dimensions. It counts towards free baggage allowance. More restrictive limit of 150 cm per piece for flights to Canada and North/South/Central America – if exceeded, an oversize fee of at least USD 250 will apply. Counts as one of the two free pieces allowed. Fiji Airways: Can be carried for free if dimensions are under 158 cm and under 23kg. A fee from $50 to $120 will apply if dimensions are between 158 cm and 277 cm, depending on destination. LATAM: Special baggage charges for sports equipment on flights from Australia to South America, and Sydney to Auckland – at least USD$100 in either case. While an airline’s policy on sporting baggage might not seem important when it comes to booking tickets, choosing one with more restrictions on size and weight might see you stumping up a considerable amount in excess baggage fees at the airport, which will be sure to put a dampener on your travels. Finally, if you hold frequent flyer status, then be sure to check the operating airline’s website for more information on any increased baggage allowances you may be entitled to as an elite member.